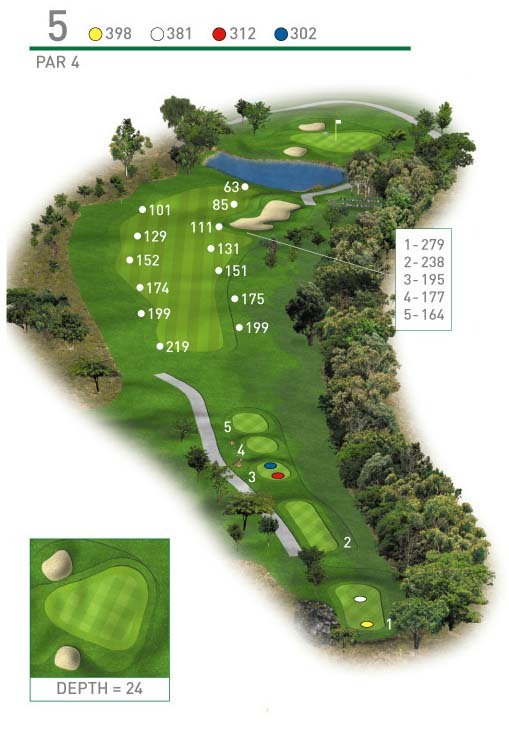 Not a long par 4 however missing the fairway bunker and getting the ball onto the fairway is a must. The green is protected by water in front and two bunkers. Not a big green so club selection is important.